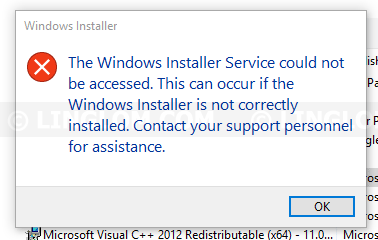 The Windows Installer Service could not be accessed. This can occur if the Windows Installer is not correctly installed. Contact your support personnel for assistance. The Windows Installer Service could not be accessed. This can occur if the Windows Installer is not correctly installed. Contact your support personnel for assistance. By default, Windows Installer service is not running in Safe mode so you can’t install or uninstall some program. To fix this issue, you have to add a registry entry for Safe mode that you’re using and start the Windows installer service. In this article, I will show how to fix this issue using command prompt on Windows 10. Note: The steps are the same for Windows 7 and 8. 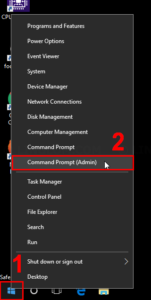 Open command prompt as an administrator. On Windows 8/10, right-click Windows icon at bottom left and select Command Prompt (Admin). On Windows 7, click Start button, type cmd in search field and right-click the cmd program and select Run as administrator. Note: If you’re in Safe mode with networking, you have to replace the text Minimal with Network. 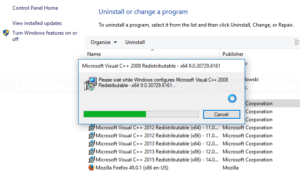 Start Windows Installer service by type this command. 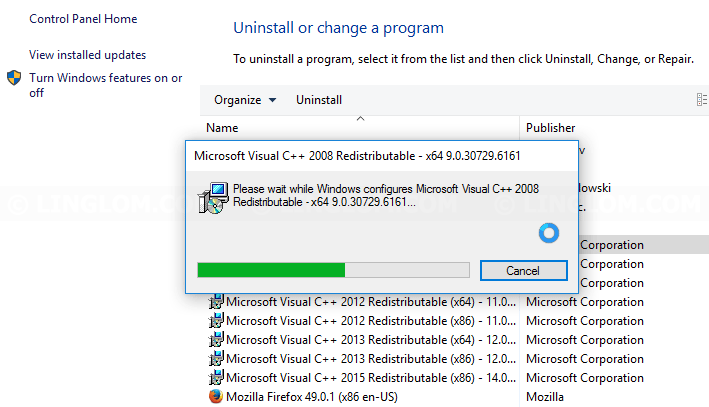 Now you should be able to install or uninstall the program. Thanks a lot it works for me! !